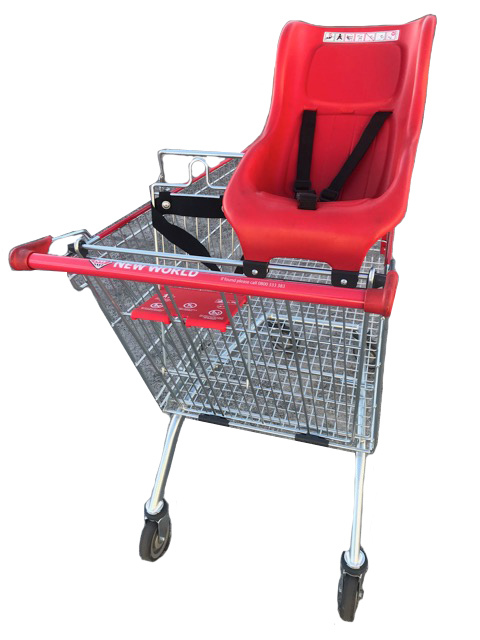 We provide a range of trolley accessories to make the shopping experience that little bit more enjoyable. 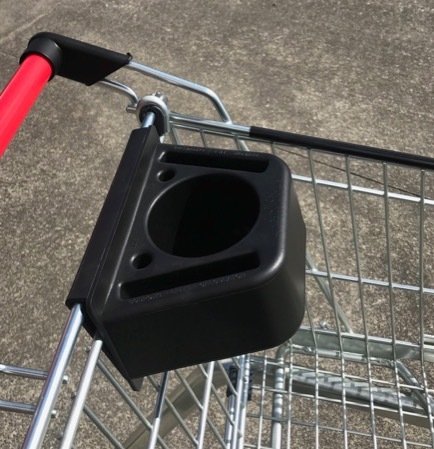 These solve the dilemma of how to push the trolley and select products whilst you are enjoying your favourite beverage. Learn more to see details on our three options available. In addition to the child seats built into the EL, SH and DR Series, we have frames to click baby car cradles into - all with child restraint straps. Safety of our young ones is paramount. We have a variety of child restraint options available including clip seat belts, velcro seat belts and three point restraints. We provide the option for customers to build their retail banner name, logo, tag line and branding colours into the trolley handles. 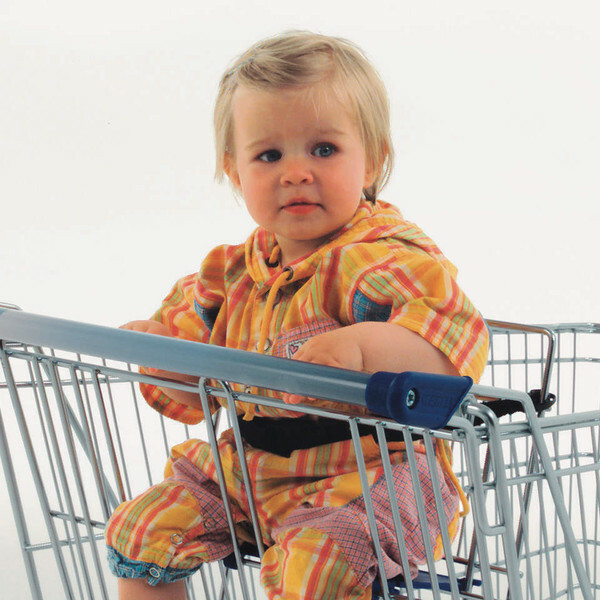 Transporting goods smoothly and safely makes specific demands on trolleys and castors. 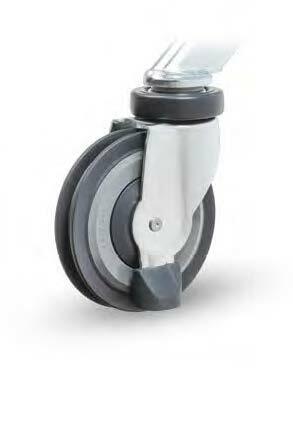 We have a range of wheel solutions available including brake wheels, anti-static (electro conductor), travelator wheels and anti-theft locking wheel systems. With the nationwide push to eliminate plastic bags, the dilemma of where to hang the reusable bags has been dominant. 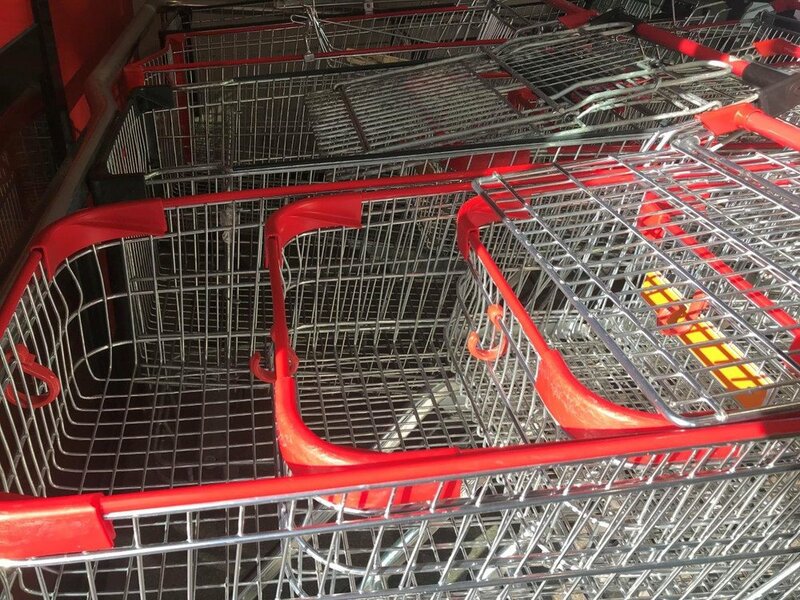 We provide plastic hooks in red or black that attach to the front face of your trolleys keeping the basket free for products.